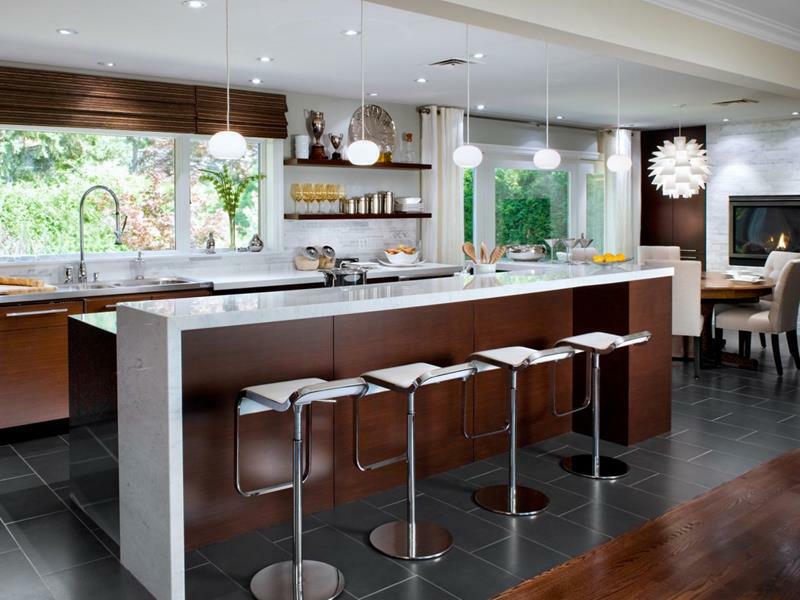 Most often, people will want the kitchen in their home to a bright, open and airy place. This simply makes sense. Kitchens are the rooms that we’re most likely to gather in; they’re places where we cook or meals, mix our drinks, and entertain our friends, whether on special occasions or just because. 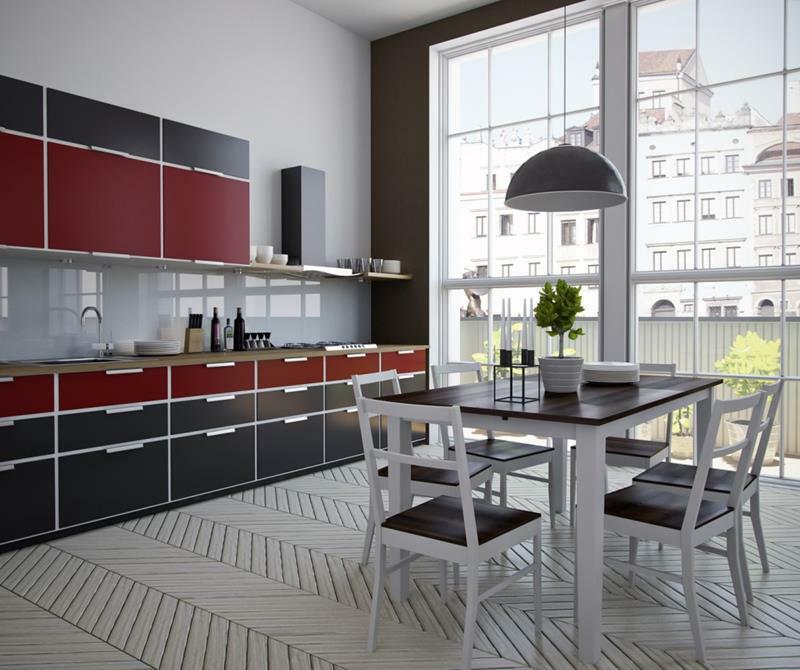 Now, there are a number of different things that you can do with the design of your kitchen to make it that inviting, warm and airy place your imagining. Naturally, you’re going to want to select charming cabinets and to go with a color scheme the sets the mood you’re after. But, there’s something else that’s quite important to establishing this mood: your windows. In truth, if you want a kitchen that’s got brightness in spades, you’ve got to have a kitchen that features big windows. Now, there are a number of different ways that large windows can be incorporated into the design of kitchen, both in terms of placement and in terms of styling. That’s why we’ve put this list together! 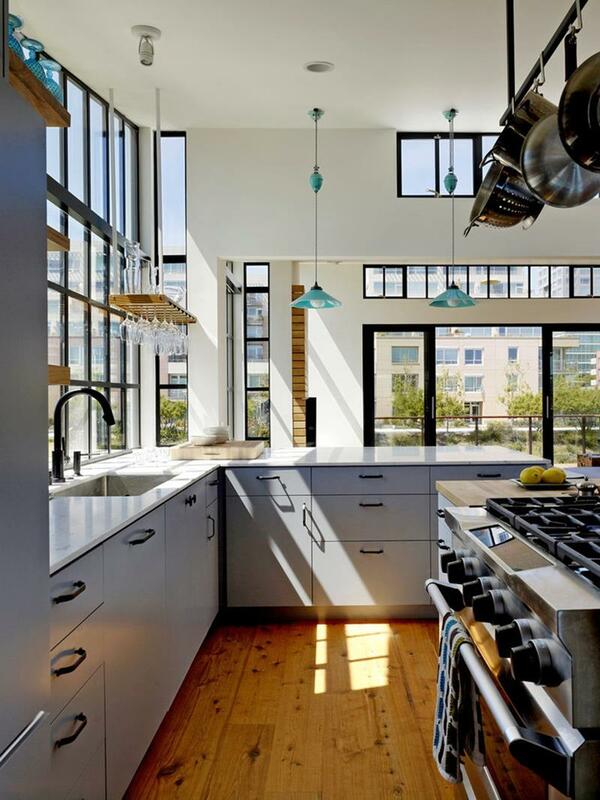 Below, you’ll find 25 stunning kitchens with big windows. Each offers a glimpse at something you might be able to do in your home that will give you the kitchen atmosphere you’re after. So, take a look, and get inspired! When it comes to a big window to brighten up your kitchen, there’s nothing bitter than grand sliding glass doors that open up to the outside. Given the high floor-to-ceiling windows in this stunningly contemporary kitchen, a hanging light fixture over the table is essential. 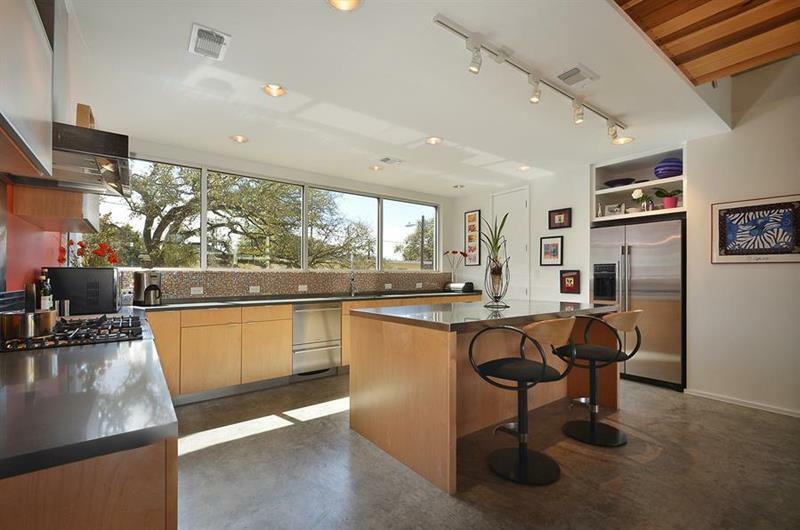 With windows all along the back wall, this beautiful kitchen offers a panoramic view of the outside. While you may wish to go for pure, uninterrupted windows, those with panes can add drama to your kitchen design by casting shadows.